**Reminder** Abstract submission for 2014 World Forum on Biology closes TODAY, March 31st! Do you have any news, reviews, articles, vacancies or training opportunities to share in the June newsletter? Greetings fellow members of the Society for Cryobiology. As we follow our recent 50th anniversary and begin our next 50 years on the heels of one of the best annual meetings in recent memory, it is my distinct pleasure to begin my term as President. As you know, much is planned to take our Society forward in exciting directions while bringing discipline to the organization in a changing world. We have an energetic board and a fantastic meeting planned in conjunction with the Society for In Vitro Biology (SIVB) in May/June this year. 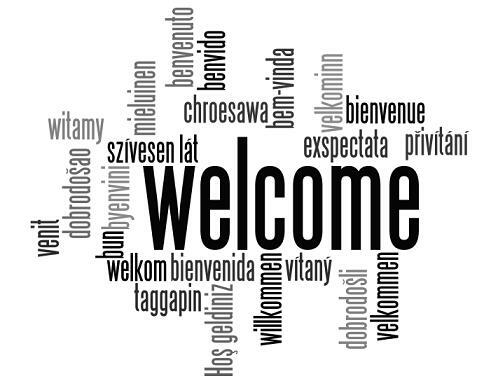 We have also begun more interactions with other societies that use our discipline as well, such as the International Society for Cell Therapy (ISCT), The International Society for Environmental and Biological Repositories (ISBER) and, of course, the American College of Cryosurgery (ACC). At the same time, it saddens me greatly to have heard news of Stanley Leibo’s passing. This newsletter will only give a glimpse of the importance of Stanley to our field. He was an excellent scientist, a great person and a friend. For those of you able to attend the meeting last year I'm sure you will remember his plenary lecture "Milestones in Cryobiology", an overview of the most important achievements of the past 50 years; it was an honor for me to represent and discuss the future of cryobiology after his presentation on our history. I would encourage everyone to remember both him and his work. I’m looking forward to a very bright future while we cherish our past, and encourage you all to be proud to be associated with this Society. It is with great sadness that the Society has been notified of the death of long-term member and Fellow of the Society for Cryobiology, Stanley Leibo, on March 25, 2014. Stanley was an active member of the Society right from its inception and throughout the following 50 years, serving in many capacities on the Board of Governors, Editorial Board, and as President of the Society from 1985-1987. Stanley was, most recently, Professor of Biological Science at the University of New Orleans and his research focused primarily on oocytes, spermatozoa and embryos of a wide variety of mammalian species. His research and publication history spans over 45 years in Cryobiology alone; his first manuscript was published in 1969 and his most recent manuscript is currently in press and will appear in the April 2014 issue of the journal. He was also a contributor to a wide range of other journals, including Zoo Biology, Theriogenology, Biology of Reproduction, Fertility and Sterility, Zygote, Biology of Reproduction, and Journal of Mammalian Ova Research, all in the last five years alone. The importance of his early research on the preservation of mammal embryos cannot be overstated, as it laid the foundation for the application of human fertility aid in fertility clinics all over the world. 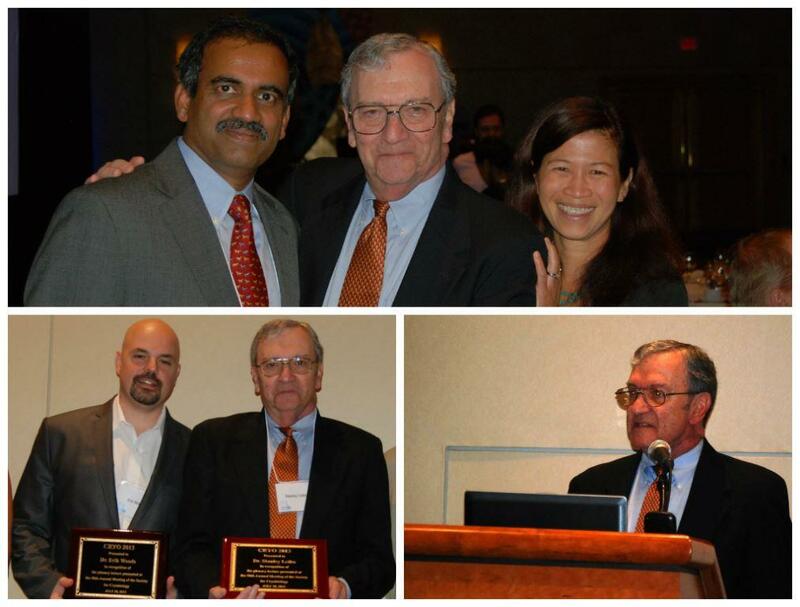 Below Left: Erik Woods and Stanley receive their commemorative plaques in honor of their plenary lectures at Cryo2013, the 50th anniversary meeting of the Society. The majority of our members have already renewed their membership for 2014, but if you haven't don't worry, there's still time. If you have not renewed you should have recently received an email to say that your account will be archived on April 1. We all know life gets in the way of things at times, so if this does happen to you, don't worry - it's easy to reinstate your account - simply renew at any stage and your account will be reactivated. The easiest way to renew is to use Paypal on the Society's website, but if you would prefer to pay by check or bank/wire transfer you can do this by filling in the renewal form, available to download on the membership renewal page. 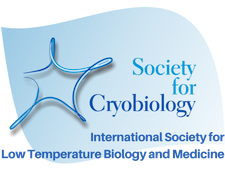 As you probably know, the Society for Cryobiology has established an award and medal of CryoFellow, for recognition of members of the SfC and individuals from the cryobiology community at large who have had an outstanding impact on the field. CryoFellows are awarded this prestigious status in recognition of: scientific impact of their research on cryobiology (50%); sustained nature of that impact (20%); generation of scientific offspring (20%); and service to the Society (10%). The 2014 CryoFellows Nominations Committee is now soliciting nominations for the appointment of new CryoFellows. The Committee consists of three current members of the Board of Governors and two CryoFellows. This Committee evaluates the nominations and makes recommendations to the Board of Governors for approval of new Fellows. There is no formal application form on which to make the nomination, but the documents you provide the Committee should be of sufficient depth to support the candidate’s contributions to the categories mentioned above in a clear and demonstrable way. Usually this will mean inclusion with the nomination: (1) supporting letters from members of the Society or other major contributors to cryobiology (including one from the nominator); and (2) a detailed resume of the nominee. I suggest you contact the proposed CryoFellow to discuss their nomination before proceeding and to obtain the resume from the nominee. The deadline for nomination is May 1, 2014. For more information and to nominate an outstanding individual please contact Jason Acker. MARCH 31 IS THE FINAL DEADLINE! Abstract Submission Ends March 31! Submit your abstract by March 31 to be considered for presentation at the World Forum. Abstracts submitted after March 31 will not be published in any of the on site meeting publications, so get your abstract in now! Remember, you have to register for the meeting before you can submit an abstract. A special symposium is scheduled for Wednesday, June 4 from 10:30 am - 12:30 pm. Do you know where all of your data is stored and if it’s up-to-date? Would your neighbor across the hall be able to find and interpret your latest experimental results on your computer? 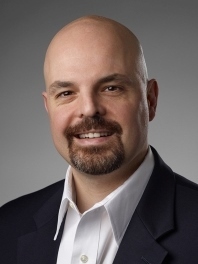 Would you pass safely through an NIH audit of your research? If any of these questions made you nervous, learning more about proper data management would be a good use of your time! Attend this highly interactive, 2-hour session to network and engage with your colleagues over the struggle to maintain your research data. Using a real lab’s research project as an example we’ll cover the importance of good data management practices, seven common issues in data management, and resources to assist you along the way. By the end of this fun session you will have tools to help your lab better manage your data and feel more comfortable creating the 2-page data management plans required by NSF and NIH grants. Make your plans to attend! 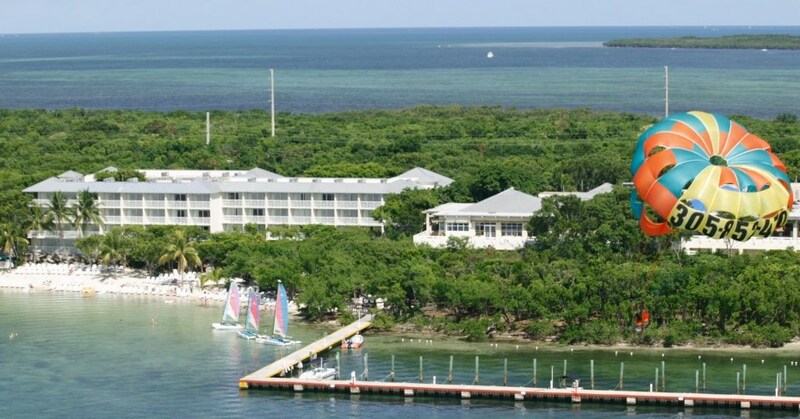 The American College of Cryosurgery held a jointly sponsored meeting with the Society for Cryobiology (SfC) this past January 15-19 at the Hilton Key Largo Resort (pictured left). The meeting was also sponsored by the Winthrop University Hospital, which provided American Medical Association Continuing Medical Education Credits (CME) for attending health professionals. Educational grants to support speaker attendance were provided by the SfC and CPSI Biotech, Inc. Additional participating societies also included the Cryogenic Society of America and the Society for Thermal Medicine. Numerous focus sessions, which supported new trends in cryomedicine such as the concluding session on the “Cell Death Continuum: Its Role in Cryomedicine” chaired by Dr. M. Taylor and Dr. J.M. Baust delved into the cell/molecular biological aspect of post-freeze recovery. The intriguing opening session titled “Translational Hibernation” chaired by Jan Storey provided new insights into the biology of hypothermia. Dr. B. Glasmacher chaired a session titled “Biopreservation of Biologics: Translation from Stem Cells to Cancer,” Dr. Y. Rabin organized a session on “Computerized Tools for Cryosurgery Training” and Dr. R. Griffin chaired a session on “Advances in Thermal Medicine” which highlighted advances in heat-based therapeutic strategies. Diverse clinical sessions were integrated throughout the program. Next year’s venue will be announced shortly. Members of the Society for Cryobiology may wish to add this interdisciplinary meeting to their 2015 schedule. Further, on behalf of the ACC, we acknowledge and thank the Society for Cryobiology for its partnership and support of the ACC annual meeting. The International Institute of Refrigeration's bi-annual conference will be held at the Congress Centre, Prague, in April 2014. The programme will include cryophysics, cryoengineering, liquefaction and separation of gases, cryobiology and cryomedicine. Advancing Science through Evidence-Based Biobanking. Model Organisms and Environmental Biorepositories: Interdisciplinary Perspectives in Biobanking. A number of SfC members will be speaking, including current Society President, Erik Woods, and President-Elect, Jason Acker, as well as Alison Hubel and Steve Mullen. Abstracts are currently being accepted for the 45th annual BACG conference, which will be held from July 13-15 at the Rosebowl in Leeds, UK. Confirmed speakers include SfC member John Morris (Asymptote Ltd, Cambridge, UK) as well as Richard Braatz (MIT, USA) and Elias Vlieg (Radboud Univ, Netherlands). We are pleased to announce the 2nd International Ice-Binding Protein Conference will be held August 4 - 7, 2014 in Sapporo, Japan. The first meeting in this series took place three years ago in Kingston, Canada, and attracted 75 scientists from 13 countries. A variety of organisms living in cold/ice-laden environments produce ice-binding proteins, which include macromolecular antifreezes inhibitors of ice recrystallization, ice adhesions and ice nucleation proteins. Because of their importance in science and technology, both their basic principles and practical applications will be discussed at this gathering. The venue is the Conference Hall of Hokkaido University, which is located close to the Sapporo Railway (JR) station, in the centre of Sapporo. The organizing Committee members are: Peter Davies, Ido Braslavsky, Arthur DeVries, Sakae Tsuda (the host), John Duman, and Andrzej Wierzbicki. Confirmed speakers include SfC members Ido Braslavsky and Maddalena Bayer, among others. As an Engineer or Applied Physicist (Cryogenic Operation) in the Technology Department (TE), Cryogenics Group (CRG), Operation for Detectors and Test Areas (OD) section you will join the Cryogenics (TE-CRG) Group which is in charge of the design, construction, commissioning and operation of the cryogenic systems for CERN accelerators, detectors and test facilities as well as of the management of the industrial support contract for maintenance and operation of cryogenic systems. It also provides support for low-temperature developments and tests at the Central Cryogenic Laboratory as well as consultancy and support in cryogenic design and cryogenic instrumentation. Within this group, the Operation for Detectors and Test Areas (OD) section is responsible for operating the cryogenic system of detectors test areas, including the LHC detectors ATLAS and CMS, and related cryogenic infrastructure. It also operates a wide range of medium sized refrigerators for test facilities and experiments. For the operation of this cryogenic infrastructure the group is opening a staff position for a Cryogenics Operation Engineer.